Elcriso is a newly renovated detached 4 bedroom, 2 bathroom stone farmhouse with private pool and stunning views, set in a peaceful very rural location yet within walking distance of a restaurant, in Chiozza, Lucca WIFI. Option free professionally guided walk. Holiday home with 3 bedrooms, 2 bathrooms, private beach style pool and WIFI. Walking distance to the centre of the beautiful mediaeval town of Barga. Ideal for families - massive gated garden, orchard and children's play area. as well as final clean. Heating payable on site . 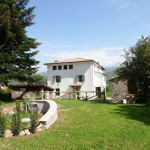 The farmhouse is situated above the village of Poggio in the Garfagnana valley circa one hour north of Lucca. 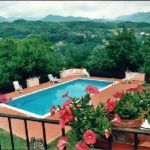 Surrounded by olive groves, vineyards and a fruit orchard, you can enjoy the marvellous view of the unspoilt Garfagnana valley and the surrounding green mountains. Short walk to vegetarian restaurant. The old stone farmhouse is spacious and has been lovingly restored retaining many of the original features. Situated near the medieval town of Coreglia, Lucca. The interior is furnished most tastefully in harmony and style. Two 1 bedroom apartments, and One 2 bedroom, 2 bathroom apartment each with private facilities. 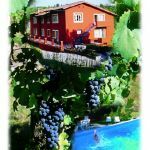 Beautifully renovated, quality village cottage with 2 bedrfooms, 2 bathrooms and wonderful pool and pool area, within walking distance of facilities. Treat yourselves! Bedding and towels included as well as final clean. This 120 year old village property with pool, situated 1 hour north of Lucca and within walking distance of a good restaurant, has recently been converted to a holiday home, split into good quality apartments. Only available together on a private pool basis in July and August . Prices p/w inc. Electricity, linen, towels. Heating is extra. Beautiful newly renovated, romantic, 4 bedroom, 3 bathroom villa, with private pool, stunning mountain views, and within walking distance of gorgeous walled medieval village. In fact there is a restaurant just 450M away. What a treat! 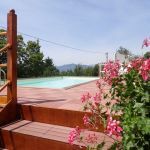 Ideally lcoated for exploring only 40 minutes the walled City of Lucca, and 15 minutes from the beautiful mediaeval Barga, Cardoso is a newly renovated 6 bedroom, 4 bathroom property with own pool for cooling off. Great light, spacious and well equipped property for families on a budget. 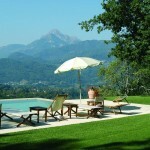 The villa is located about 5km from the medieval town of Castelnuovo. 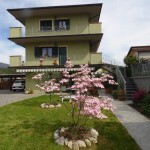 Set in the unspoilt Garfagnana, valley, Tuscany the house is self contained & surrounded by over 10 acres of land overlooking the beautiful Serchio valley. 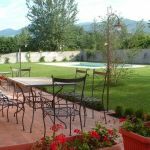 Treat yourselves to a stay at this wonderful newly refurbished Villa,near Barga, Lucca, which has been renovated, furnished and equipped with quality and care to give a truly relaxing holiday! Barga! View of Duomo from garden. Short walk to old town. Small pool. Ideal for two! (sleeps 2 plus 2) . WIFI. 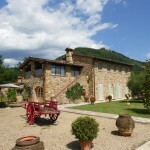 Beautifully Restored Farmhouse, divided into 2 units. Both properties have been restructured to a very high standard retaining all the possible original features ( beamed ceilings and terracotta floors) and using original material when possible. Prices p/w inc. Electricity, linen, towels. Heating is excluded.